With two days before the Super Bowl, I felt appropriate to get Miami alum Rick Dudley on the pod. Not only did he spend more than a decade at the NFL, he has been the CEO of Octagon, a global sports and entertainment marketing and management agency, for more than 15 years. And oh yeah, he is my boss. He references two Miamians in the pod that are very relevant to the Super Bowl too - Jim Steeg and Jon Miller. We'll get them on the pod shortly. 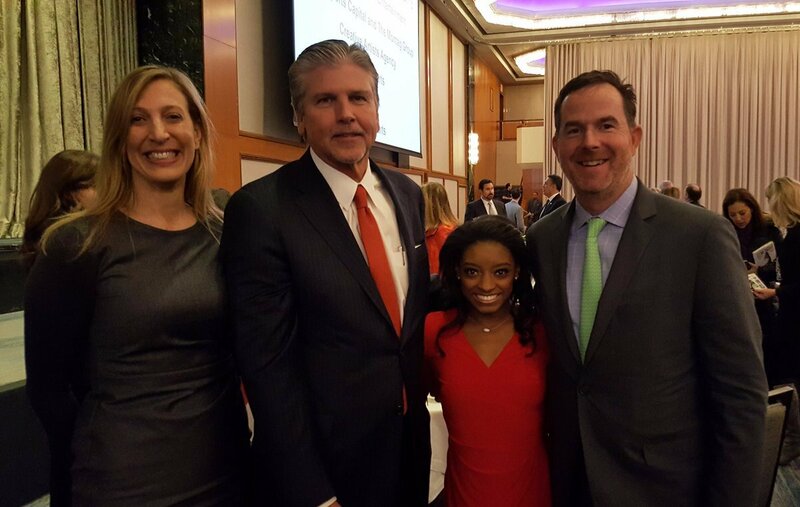 In the below image, Rick is with Octagon's Janey Miller, John Shea and client and 4x 2016 Olympic Gymastics Gold Medalist (including the Individual All-Around) Simone Biles.